Corona is an Italian dance group, fronted by Brazilian performer and singer Olga Souza. 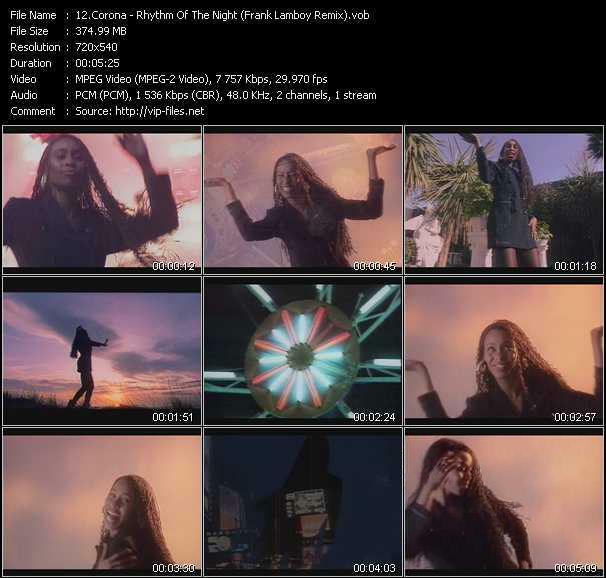 Originally produced by Francesco Bontempi (also known as Checco and Lee Marrow), it found success in 1993 with the worldwide hits ”The Rhythm of the Night” and “Baby Baby”. Later producers include Francesco Conte and Paolo Dughero.